Probate is a term you may have heard in connection with your search for property. Probate is a legal term that refers to proving the existence of a valid will, or if there is no will, determining who will receive the decedent’s property and what taxes might be owed on his or her estate. The court will monitor the distribution of the assets, including the sale of real property. As it refers to real estate, most real property must go through the probate process, which is to say the sale must meet the probate code requirements and the proceeds go to the estate for distribution. Since property which is subject to probate sale, may require court approval of the sale you are well advised to use a Realtor who is experienced in these transactions. As we indicated above, “most real property must go through the probate process,” however, that may not apply to property held in trust. Trusts are estate-planning tools that can replace or supplement wills, as well as help manage property during life. A trust manages the distribution of a person’s property by transferring its benefits and obligations to different people. There are many reasons to create a trust, making this property distribution technique a popular choice for many people when creating an estate plan. A conservatorship is a legal proceeding where one person or entity, called the “conservator” is appointed by a judge to manage the affairs of another person called the “conservatee”. A judge will consider appointing a conservator where there is strong evidence that the conservatee is incapable of providing for his/her own basic needs. In this situation, the conservator will be referred to as the conservator of the person. If the conservatee cannot manage his/her financial affairs, the conservator will be referred to as the conservator of the estate. There can be a conservator of just the person or estate or both. Scott Palermo and Jim Sanak maintain a professional strategic partnership with The Sanborn Team in Los Angeles, in the areas of real estate sales for Probate, Trust and Conservatorship. As a team we offer over 25 years of combined real estate sales experience with probate and trust attorneys and conservators. For more information regarding The Sanborn Team please visit their web site at www.SanbornTeam.com. 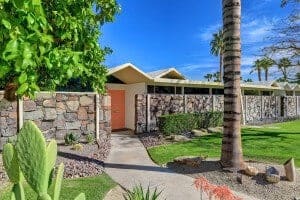 The Desert Estates Planning Council (DEPC) is the Coachella Valley’s local organization of professional estate planning attorneys, trust and probate attorneys, litigators, trust officers, wealth management officers, real estate sales professionals and appraisers, focused on maintaining the highest professional standards. DEPC fosters professional referral relationships between its members, in an effort to provide a cohesive network of quality services to the public, by its members. DEPC also promotes continuing education to its members through their expert guest speaker program. This information is not intended as legal advice, or guaranteed accurate or complete. Specific situations may differ. Contact your attorney for information regarding any particular situation.